The image was rotated with the camera EXIF data, and I guess the forum software doesn't understand it. Sideshow and DC Collectibles are putting out a life-size version of Bruce Timm's Harley Quinn statue. I'm sure my head will explode at the eventual price, but one can dream. 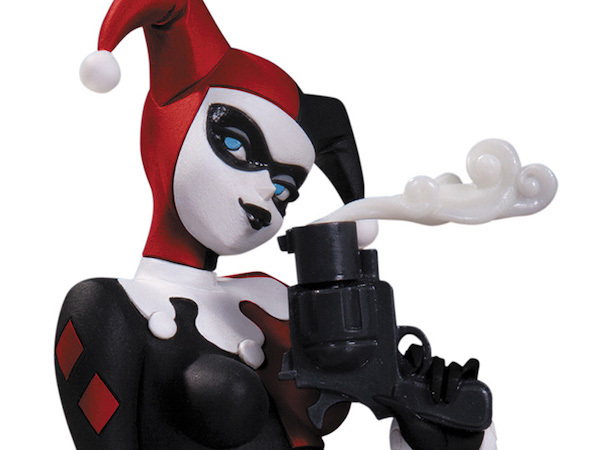 Michael: Sideshow and DC Collectibles are putting out a life-size version of Bruce Timm's Harley Quinn statue. I'm sure my head will explode at the eventual price, but one can dream. Not a fan of that smoke effect. Ugh, you are right. 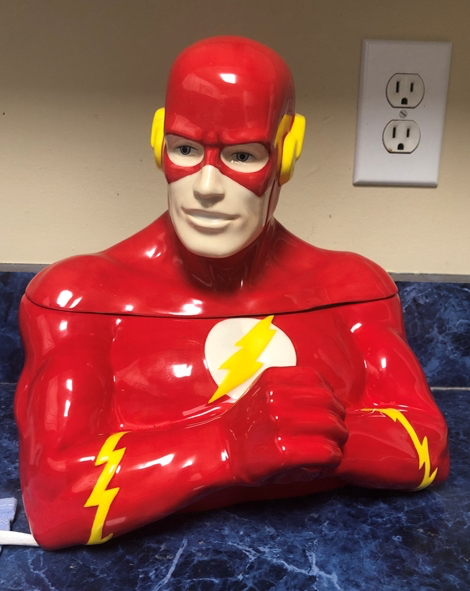 They changed it from the original statue. Not interested, but thanks for the heads up! Now I go back to waiting for Eaglemoss to do some of my ships! Life-sized version of comicbook Wonder Woman on AMAZON—for about three times what I paid for Gal! Yeah, but are you gettin it? The only real “toys” I want anymore are way out of my price range. I want those Mjolnir and Stormbreaker hammers that were put out a number of years ago and Captain America’s shield. There’s a whole flock of Cap’s shields to be found in a wide range of prices. I got mine (both shapes) from Atlanta Cutlery. I recently had to slim down my Bowen collection and now I have the chance to build it back up. I was never happy with the Bowen Hulk statues available to complete an "Original Avengers" display (Gold plated original armor Iron Man, Ant-Man, Wasp, Thor) but if I have to get one to finish the lineup, which should I buy?